Chrissy at Turtle Tootsie is celebrating her brand's 2nd year and created a limited edition trio for the occasion. They release on July 1st at 12pm EDT and come in both full and mini sizes. These will not be restocked, so get them while you can! This may very well be my favorite purple of the year. 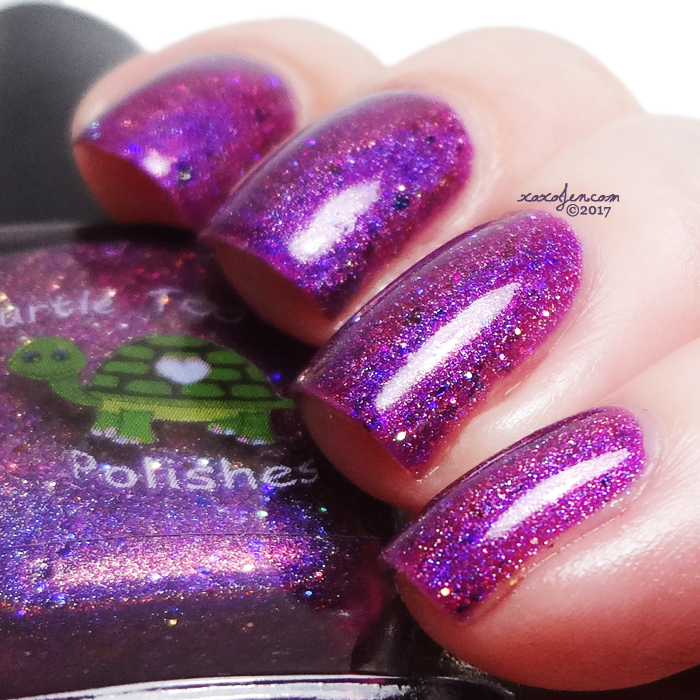 It's vibrant, berry leaning, has a strong holo, and looks amazing! 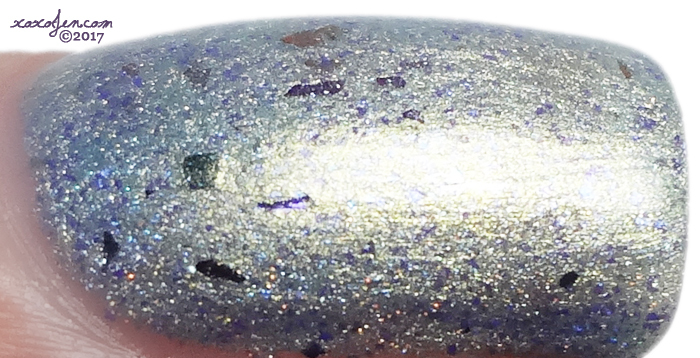 I wore two coats of each polish, formula for all three was excellent - smooth, buttery and easy to apply. Wear time was fantastic for Bottled Concord, I wore it 7 days without a chip! I didn't wear test the other two, but I'm sure they will last nicely too. 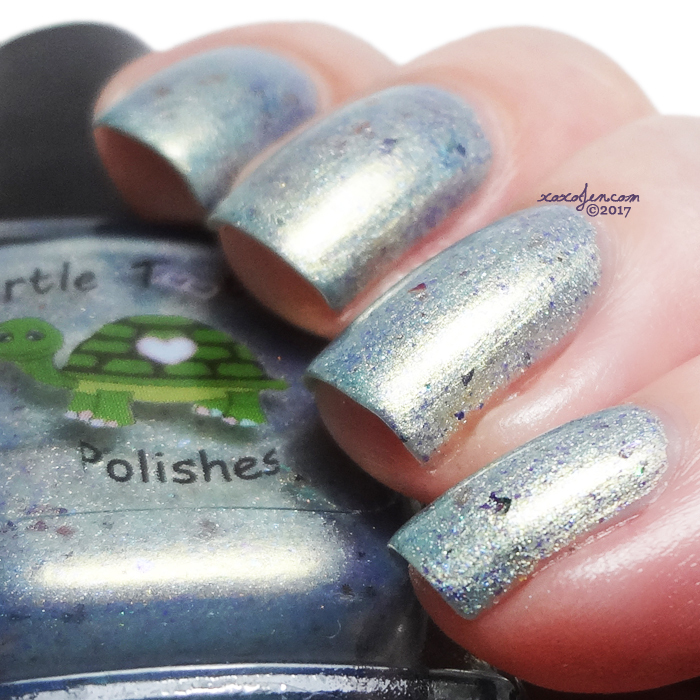 You can get yours on July 1st, at 12pm EDT at http://www.turtletootsiepolishes.com/. Heck yes, I love these! 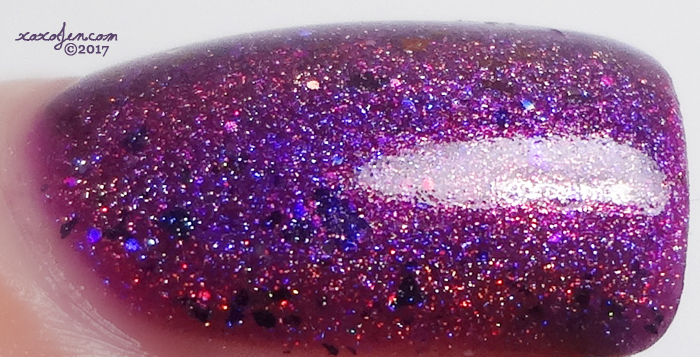 Her polishes keep getting more amazing. That "ernge" polish at the end is perfection. This trio of polishes look great!